On time service: A service characterized by timeliness of +99% which is supported by a endless number of flights performed in line with agreement. Experience: More than 30 years of consolidated experience in the world of aviation, offering customers the best experience in air cargo and passenger with a team of over 600 professionals at your service. Flexibility: Provide greater efficiency of each service which allows Swiftair to adapt to customer requirements such as schedule changes, the base of operations, maintenance or the possibility of launching flights to start-ups companies in record Time. Safety: This is the most important factor in aviation and Swiftair is governed by European EASA and the Spanish legislation at its highest level. 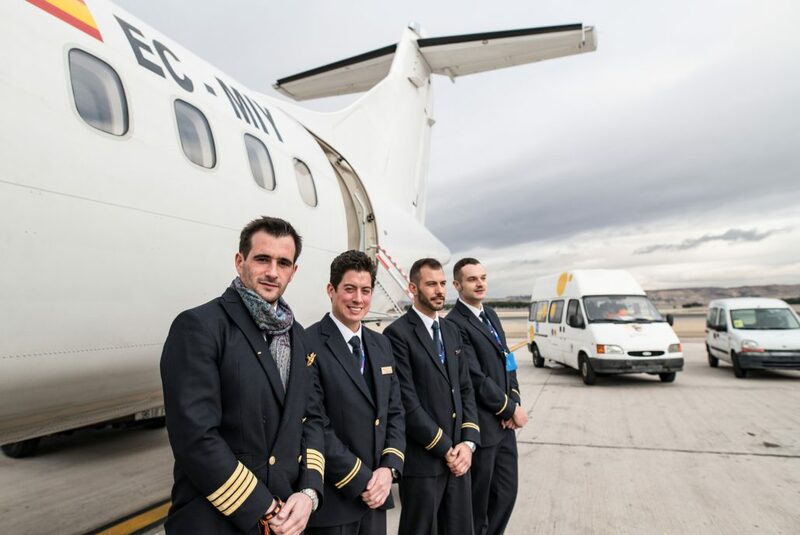 Swiftair maintains its own aircraft under the regulation PART M/145, qualifications assigned to the maintenance centers by the Spanish Civil Aviation. Security: Swiftair transports the goods of its customers meeting the highest security standards as accredited cargo agent in the main Spanish airports.The overall security plan of the company has been audited and approved by the Spanish civil aviation and several of our customers. Competitive price: A global activity and fleet size, allows Swiftair to act in the market with competitive prices and at the same time comply with all quality standards. Backup service: To ensure the completion of services rendered in case of breakdown or scheduled maintenance, Swiftair maintains replacement aircraft in it’s fleet.